Willow Springs … a Family Farm » Blog Archive » Christina for Christmas! Tiny Treasures for Your Trees! 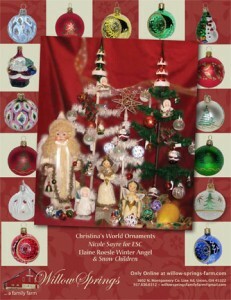 From Christina’s World, Fine European Glass Ornaments.